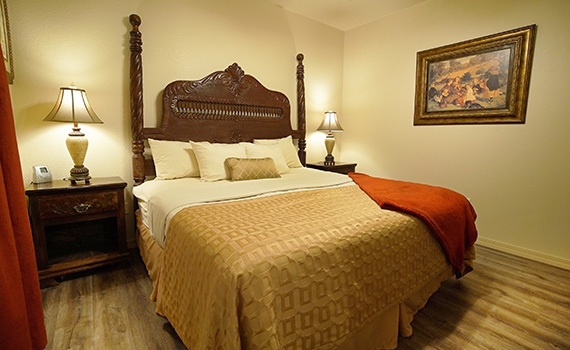 Our one room queen studio suites are equipped with Free high-speed internet, cable TV with DVD player, bathroom with a shower, and a kitchenette with a refrigerator, microwave, coffee maker and sink. Guests enjoy our great location providing easy access to shows, shopping, restaurants and attractions. With a queen size bed and a pull-out twin size sofa sleeper these units can sleep up to 3 people. 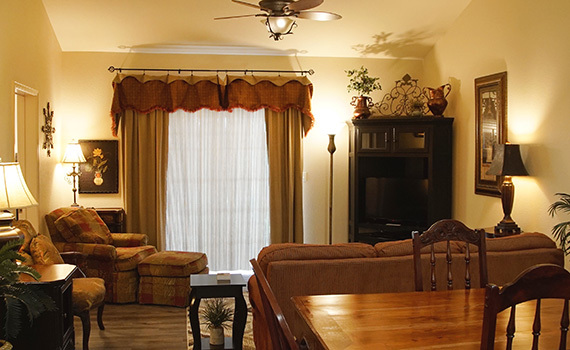 Our one room queen suites are equipped with Free high-speed internet, cable TV with DVD player, bathroom with a shower, and a kitchenette with a refrigerator, microwave, coffee maker and sink. Guests enjoy our great location providing easy access to shows, shopping, restaurants and attractions. 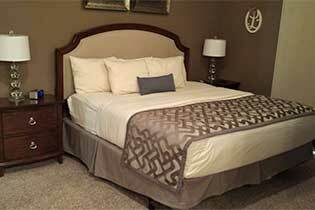 With a queen size bed and a pull-out twin size sofa sleeper these units can sleep up to 3 people. 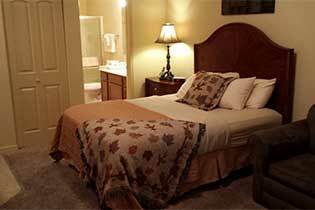 Our one room studio queen suites are equipped with Free high-speed internet, cable TV with DVD player, bathroom with a shower, and a kitchenette with a refrigerator, microwave, coffee maker and sink. Guests enjoy our great location providing easy access to shows, shopping, restaurants and attractions. With a queen size bed and a pull-out twin size sofa sleeper these units can sleep up to 3 people. 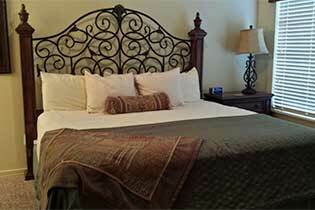 King suite is a studio with one king size bed separate from the living room and two-person in room Jacuzzi tub. Kitchenette with refrigerator, microwave, dishwasher, no stove top. One queen size pull out sleeper sofa in the living area. 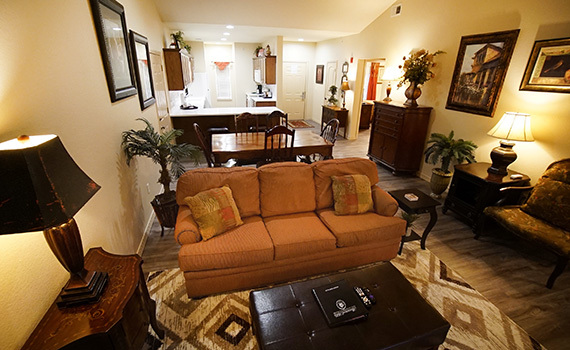 Our one bedroom Branson condos are fully equipped including Free high-speed internet, cable TV, and a full kitchen. Guests enjoy our great location providing easy access to everything Branson, Missouri has to offer. 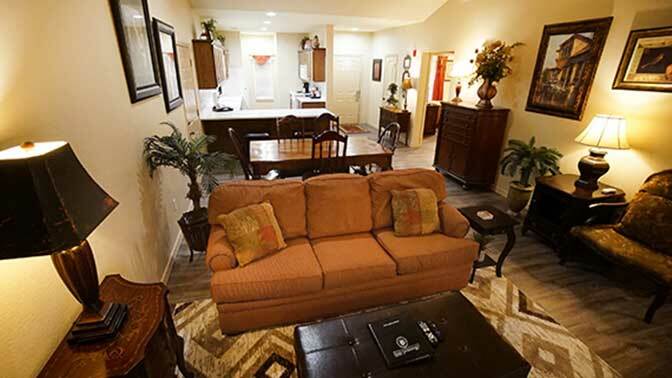 Each two bedroom Branson condo has a fully equipped kitchen, queen pullout sofa, full private bathroom with every bedroom, free high-speed internet connection, cable TV and patio or balcony. 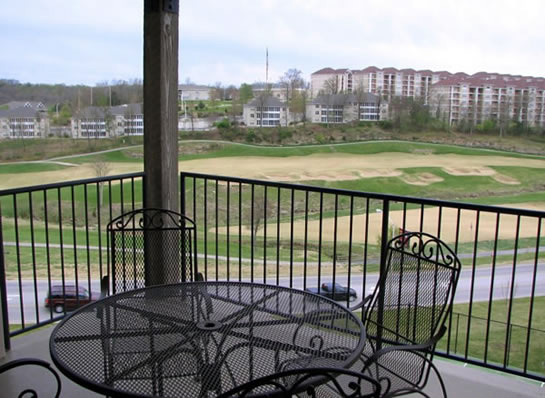 The three bedroom townhouse is the largest of the condominiums at the Thousand Hills Resort. Along with the usual furnishings, all living rooms will have queen sized sofa sleepers, gas fireplaces and private patios with gas grills for your entertaining enjoyment. 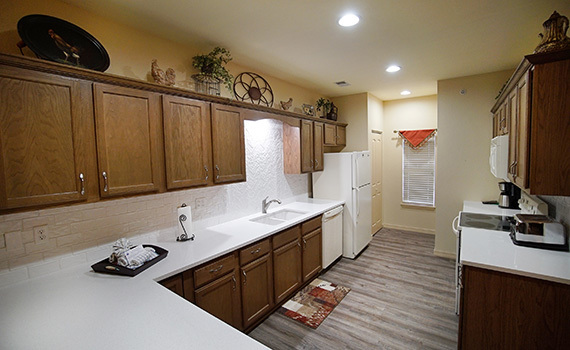 Warm, cheerful, kitchens have granite counter tops, full size appliances, washer/dryer units and premium kitchen packages. Wood flooring is abundant in the entries and stairways of the three bedroom townhouses. 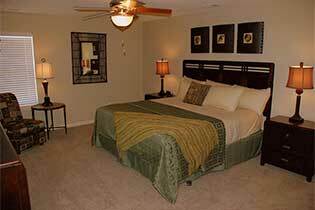 Master bedroom is located on the main floor with a private bath supporting a whirlpool tub with overhead shower. The entry area half bath is available for quick touch ups. The two additional upstairs bedrooms have vanities within the bedroom and share a Jack and Jill bathroom and offer more than adequate storage/closet space for longer stays. 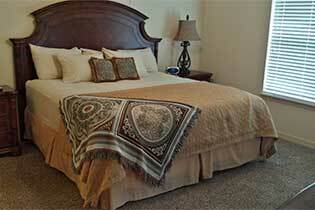 The living area and all bedrooms have cable television with HBO and free high speed internet access. Every Branson townhouse will have a DVD player as well. The three bedroom townhouse includes a two car, attached garage with remote access, making it only a few steps from car to kitchen. Security abounds at the townhouses with a gated entry system. An outdoor pool is available within a short walking distance of your three bedroom townhouse. Each of our three bedroom condominiums are fully equipped including Free high-speed internet, cable TV, and a full kitchen. All units have a patio or balcony. 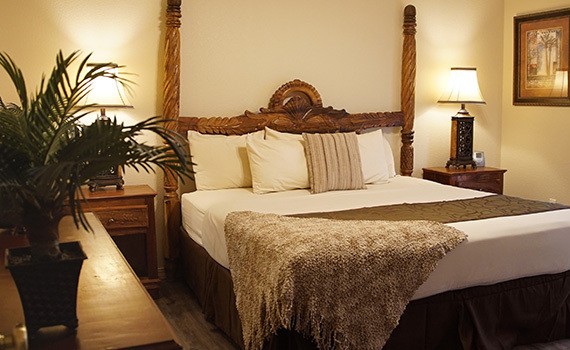 Our four bedroom condos are fully equipped to include Free high-speed internet, cable TV, full bathrooms in each bedroom and fully equipped kitchens. 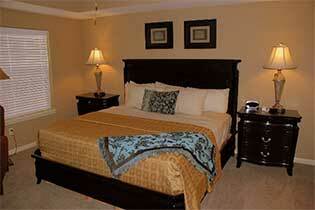 Guests enjoy our great location providing easy access to shows, shopping and restaurants. 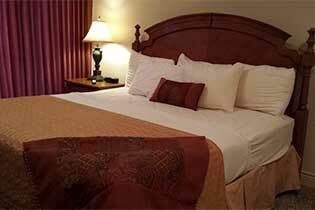 Nowhere in Branson, Missouri will you have the ability, when you include the queen sized sofa sleeper, to accommodate twelve people in such luxury. One of the newest properties surrounding the Thousand Hills Golf Resort, the five bedroom, extra large, townhome has five spacious bathrooms. Master bathroom has a whirlpool tub and separate walk-in shower. A winding, opulent staircase extends upward to the additional four bedrooms. 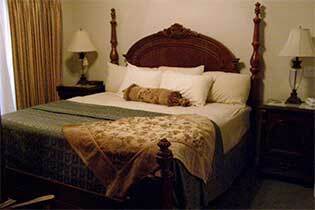 All bedrooms have luxury bedding with premium triple sheeting and various pillow types. 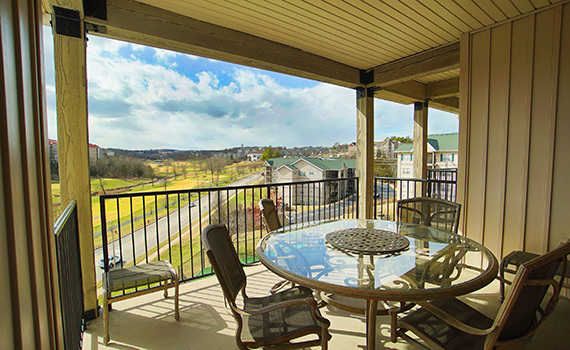 Located within a gated community, these condos present security not offered elsewhere in Branson. Branson Townhouses have connecting two car garages with remote entry, making loading and unloading your car quick and convenient. Living area has gas fireplace and you'll find hardwood floors in the kitchen, dining and entry. Gas grills and private back patios will make dining in preferable to going out. 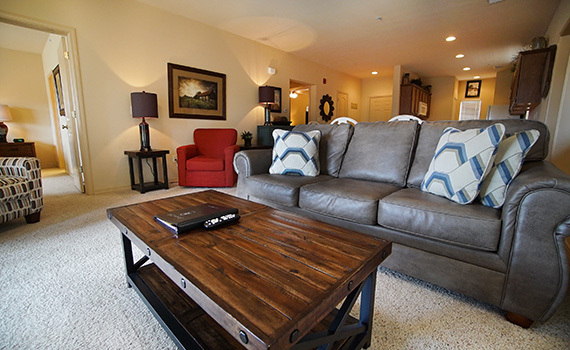 You will want to be fast to reserve these larger Branson condos, availability goes quickly with so few in town.